I didn’t even know that he knew it was my birthday! I changed and went to his dressing room after the show and asked me to go with him for a ride in his gold Rolls-Royce. “Wow! He’s actually going to give me a ride in his car? !” I thought. “How awesome!” I was thrilled. He escorted me to his car and told me to sit in the back seat—he wanted to drive me. I was on cloud nine. 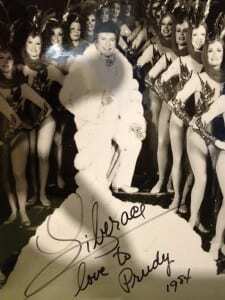 I just couldn’t believe that Liberace wanted to drive me around town and show me the “back roads” of Vegas. We drove for quite some time until he pulled into a driveway. I didn’t know what to think until he said, “Prudy, I want to show you my house!” When we walked to the front door and he knocked, I knew something was up. That’s when I was greeted by Miss Piggy singing, “Happy Birthday.” Tears of joy streamed down my face and all I could think was, “Oh my word!” Not only were my Rockette sisters there to surprise me, but Wayne Newton, Timmie Rogers and Glen Campbell were also there to celebrate my special day. 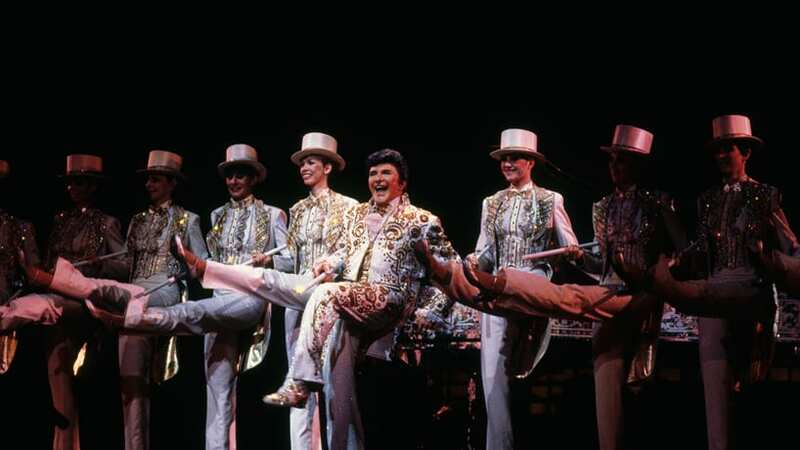 As a present, Liberace gave me a gold piano pin and mink pieces from one of his show costumes—he was one of the kindest, most loving, caring, generous men I’ve had the pleasure of knowing. Thanks, Lee. You’re truly missed. Prudence Gray Demmler was a Rockette from 1974 to 1999. She currently resides in Ronkonkoma, New York.